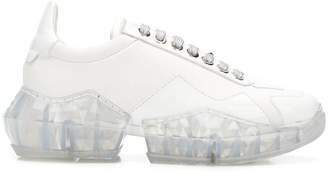 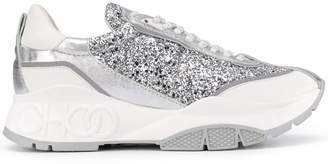 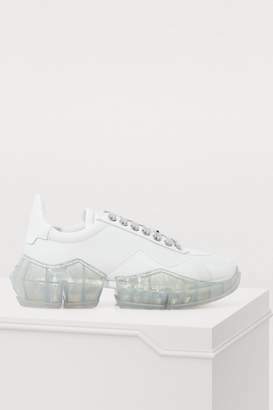 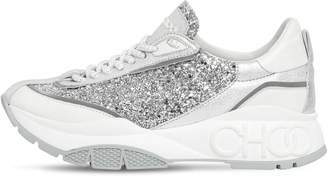 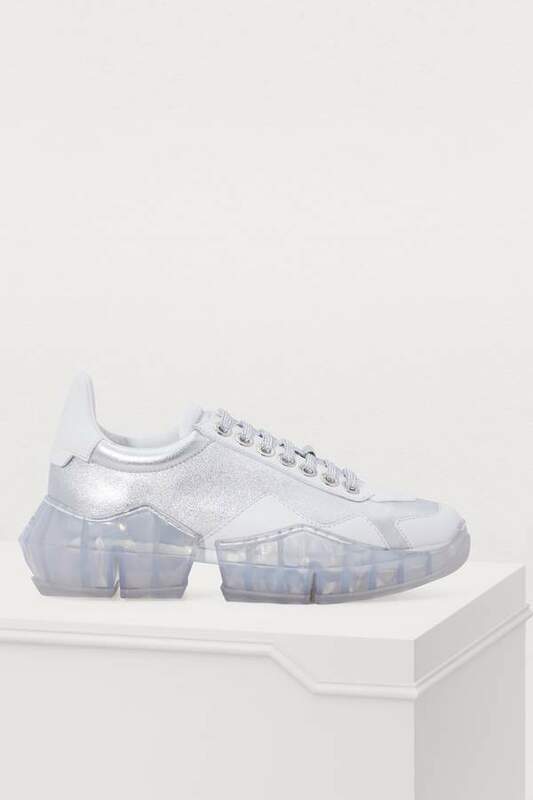 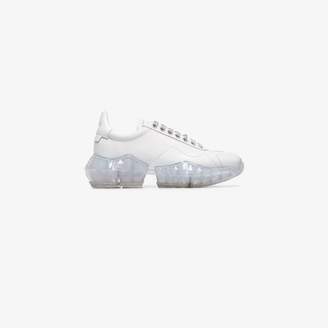 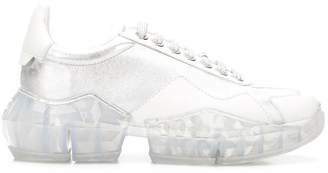 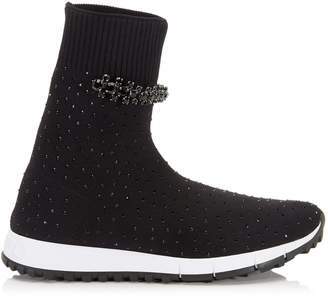 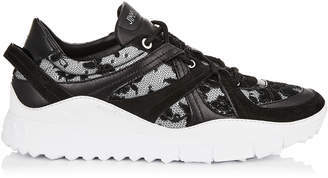 Embodying all of the Jimmy Choo fashion house's craftsmanship and bold style, the Diamond sneakers stand apart with their oversized sole, both translucent and sculptural. 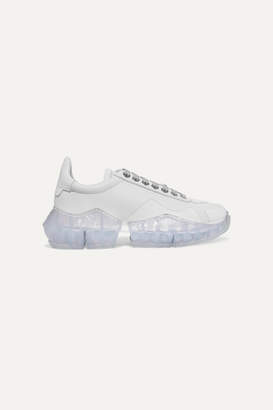 Contrasting with that ultra-modern sole is an upper that brings retro inspirations to mind with its smooth and metallic leather inlays. 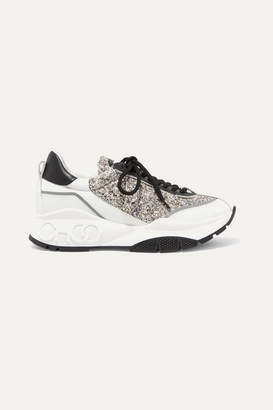 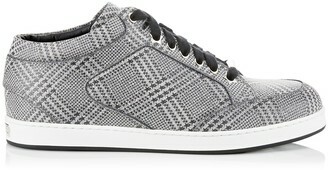 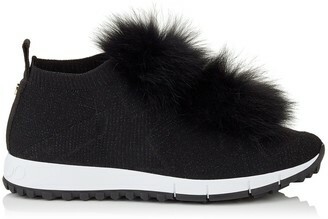 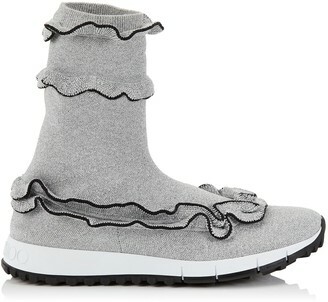 These sneakers with round laces can form part of an athleisure look alongside striped sweatpants and a bright printed T-shirt.